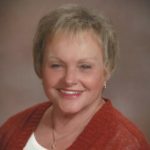 Carole Lorraine Nagel passed away unexpectedly on January 28th, 2019 surrounded by loved ones at the age of 74. Born December 23, 1944 to Joseph and Lorraine Kotar, Carole was a kind-hearted soul with a warm smile who touched the lives of many. She was the second of three Kotar children – elder brother Wally Kotar of Solon, IA and younger sister Betty Kotar of Cedar Rapids, IA. Carole attended St. Nick’s grade school and was a graduate of Madonna High School in Aurora. It was shortly after graduating high school when she met the love of her life, Kenneth M. Nagel, a then Marmion Academy student. They married in the Spring of 1967 and had five children together. Carole left a lasting impact on everyone she met. From her time as a Secretary to the Publisher of the Beacon News in Aurora, IL to her years behind the counter of the quaint Little Traveler shop in Geneva, IL to her countless years of service at St. Mary’s Parish in Plano, IL as a member of the Council of Catholic Women and the Adoration Committee, as well as serving as Marmion Mothers Club president just to name of few. Carole’s upbeat spirit made a memorable impression on everyone she ever met. She is survived by her husband, Ken (married 51 years), their four children, Brenda Nagel Cano and husband Andrew of Plano, IL, Molly Nagel Clayton and husband Grant of Atlanta, GA, Jason Nagel and wife Jenny of Aurora, IL, and Betsy Nagel Kowal of Aurora, IL. She also leaves behind a small army of grandchildren (a dozen to be exact), Madeline Cano of Des Moines, IA, Shane Cano and Olivia Cano of Plano, IL, Miles, Sadie, and Phoebe Clayton of Atlanta, GA, Cara, Braden, and Evan Nagel of Aurora, IL and Lauren, Paige, and Kayla Kowal of Aurora, IL. She is preceded in death by both of her parents and her third child, Jill Marie Nagel. Carole was a very active woman. When she wasn’t traveling the globe with her husband, you could find her either on the golf course, elbows-deep in her lush garden or spending time with her close friends. She especially enjoyed Sundays in the summertime chilling and grilling by the pool with her family and a nice glass of pinot grigio. Friends may visit from 3:00 until 8:00 PM on Friday, February 1, 2019 at the Nelson Funeral Home, 1010 W. South St., Plano, IL. A Funeral Mass will be held at 10:00 AM on Saturday, February 2, 2019 at St. Mary Catholic Church, 1001 N. Center Ave., Plano, IL. Interment will follow in Mt. Olivet Catholic Cemetery in Aurora, IL. Memorials in Carole’s name may be directed to the St. Mary Catholic School Scholarship Fund or to the Carole and Ken Nagel Marmion Academy Scholarship Fund. Arrangements by Nelson Funeral Homes and Crematory, www.NelsonFuneralHomes.com or 630-552-7211. Dear Nagel Family My deepest condolences in the loss of your Mother. She truly was a remarkable person. We will all miss her. We were shocked and saddened to hear of Carol's passing. Our thoughts and prayers are with all the family. Dear Nagel Family! My deepest condolences to your family on the passing of you Mom. She was a wonderful kind person and will be greatly missed. We're so sorry for your loss. Carole was always so gracious and so nice to me and everyone she knew. I'm so sorry to hear of Mrs. Nagels passing. I have known the Nagel family since I was a little girl. My heart breaks for everyone. Please accept my deepest condolences during this difficult time. My prayers are with you all. I know all too well what each of you are going through. May God Bless you Ken & kids along with all the grandchildren, and remaining family & friends ! Shocked and saddened to learn of Carole’s passing. We will remember her as a woman of strong faith, devoted to her husband and family, friendly, and willing to help with many things in the church and school communities. We extend our sympathy to all. Ken and family, we're so very sorry for your loss of such a great person. We have always enjoyed your company for many years. Our very deepest condolences. Ken, Brenda, Molly, Jason, and Betsy, We are so sorry to hear of Carole’s passing. She was always smiling and was very positive about life. She was always a pleasure to be with and now she will be sorely missed. Please know that you are in our prayers and thoughts, especially during this difficult time. God has called her Home and that is where we all want to go some day. You have always been a close family, going on vacations together, sitting around the pool, and even some of you working together at Fox River Foods. She may be gone, but she will forever be in your hearts and memories. God bless all of you as you get through the next few days and then the days after. Knowing Carole, she would want you to carry on with your lives. She was a very loving wife, mother and Granny. You have our deepest sympathy. Love to you all! Our Hearts Are Greiving. The DeBolt Family Are Praying For Ken And The Immeditaly Family. God Bless. Condolences to Kenny and the Family. I knew Carol through my Sister Nancy Boyne Mc Elyea. We are so sorry! Such a beautiful person! Our prayers and love to the whole family. Oh, so sorry to learn of this! Such a sweet and lovely lady. Our hearts break for the whole family. Oh what an amazing gal! Such sweet memories of a special lady. Memories that we have of raising our children. Swimming meets and shared driving back and forth. Carole always had such a softness about her. Never ever quick to anger. Always there to help and a sweet little laugh. She welcomed our daughters into their home many many times to share the fun memories. Carole was deeply loved by all and truly a great soul. She will be so so missed. Rest In Peace sweet lady. Ken I am so sorry to hear of Caroles passing. She was such a sweet girl.. To Molly and Brenda our love and prayers go out to you. You had a wonderful Mom and she will watch over you from heaven. May God give all of you strength for this journey. Ken she will br with your Mom and Dad and that is a comfort in itself. . Such a warm loving lady , and a great mother and grandmother. I was very lucky to have met her. My thoughts and prayers are with the family during this very hard time.